* the more prejudice someone allows themselves to be the less capacity they have for love. * Sorry for the blatant politicizing. * However, I think this is a significant human rights battle being waged in the US. * Though, it is not the last human rights battle that needs to be wages nor perhaps the most dire. * Other important human rights issues are criminal sentencing, hunger and poverty among children, and continued widespread racial discrimination. * However, this is the battle of today and should be addressed. 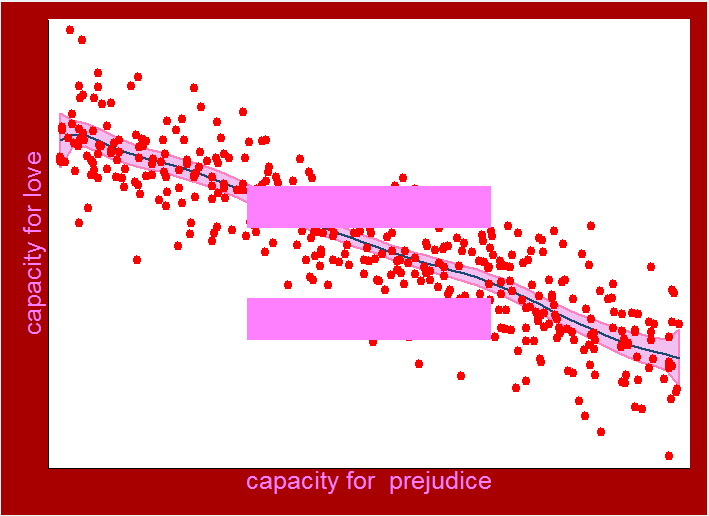 * In this very simple simulation I will attempt to generate a graphic which is a variant of the pink equal sign. but not as large as I would prefer it to be. This will tell the y axis what to place on it and what color to make it. * I turn the legend off and change the background color to be a crimson.